PG Music has updated Band-in-a-Box 2011 for Mac to Build 26. PG Music has updated the Mac version of Band-in-a-Box 2010 to Build 10. PG Music has announced the release of Band-in-a-Box 2010 for Mac OS X with new features like a new "Plug-in" mode, faster RealTracks Generation, RealTracks Shots, Holds, and Pushes and more. PG Music has updated the Windows version of Band-in-a-Box to version 2010 Build 291 Beta and RealBand to version 2010 Build 2. PG Music has updated the Mac version of Band-in-a-Box 2009 to Build 5. PG Music has updated the Mac version of Band-in-a-Box 2009 to Build 3. 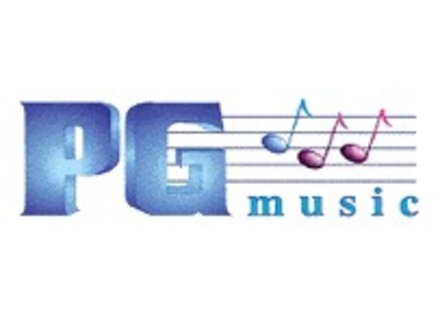 PG Music has updated Band-in-a-Box Version 2009 to Build 282 (Beta). PG Music has released Band-in-a-Box 2009 which includes over 40 new features and enhancements. PG Music has released build 264 of Band-in-a-Box 2008.5. Compared to build 263, this new build adds full support for RealTracks Sets 13-19.